Does your linen closet seem to be the black hole of your house? Well I know mine does! It seems like you take the time to fold everything neatly and then turn around for 10 seconds and it’s a mess again. 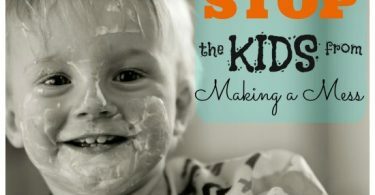 It’s enough to make you crazy! 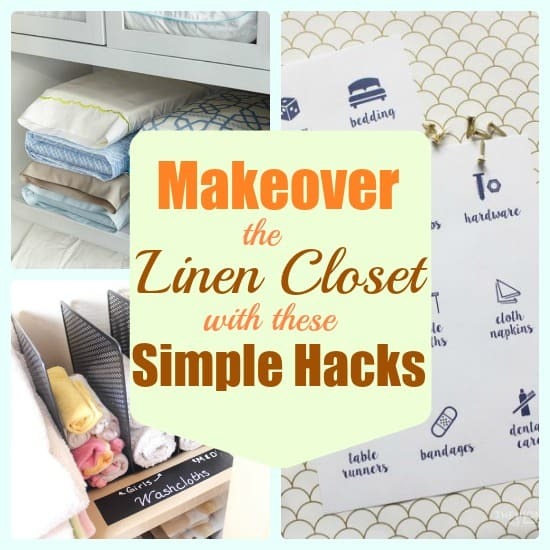 But never fear, here are some ideas to turn that linen closet frown upside down! 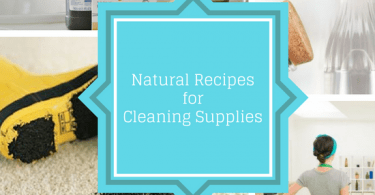 Incorporate a few of these tips and you will find that the linen closet is no longer the bane of your existence . 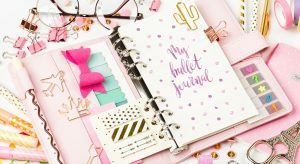 Branch out when looking for organization tools! Yes, those are file sorters that are holding those wash clothes! Brilliant, right? 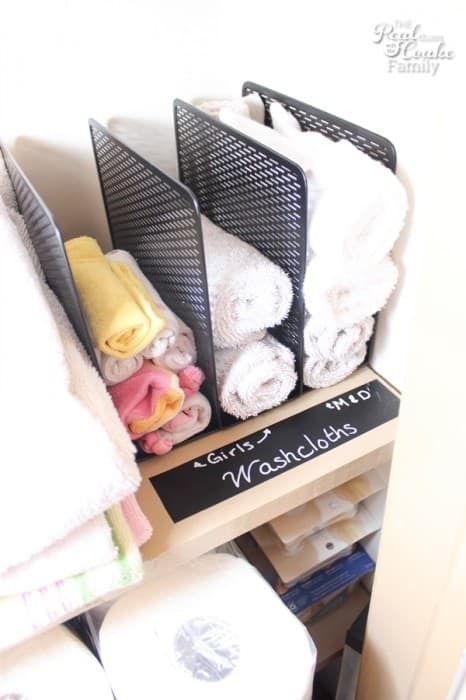 To best use the space in your linen closet, maybe you need to change how you are folding your towels. 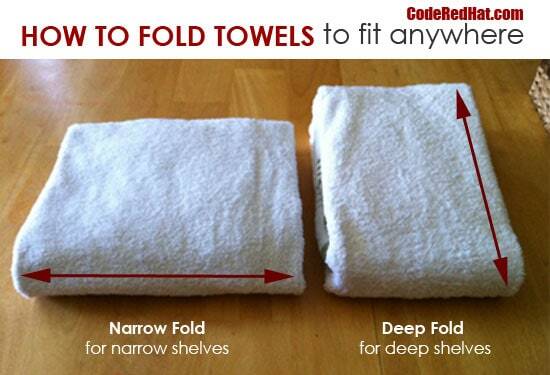 Something as simple as changing your folding or rolling towels can maximize the space you have. Changing sheets on a bed can be a hassle mostly because you need to find a new set of clean sheets! Eliminate that stress and put your sheet set together in the pillow case! 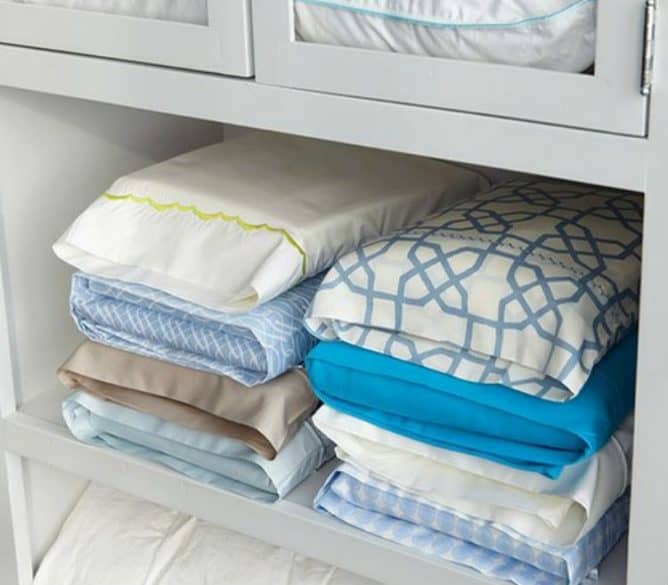 That way you can quickly grab a set without looking for matching linens. If you are like me, you keep your medicines and extra toiletries in the linen closet. 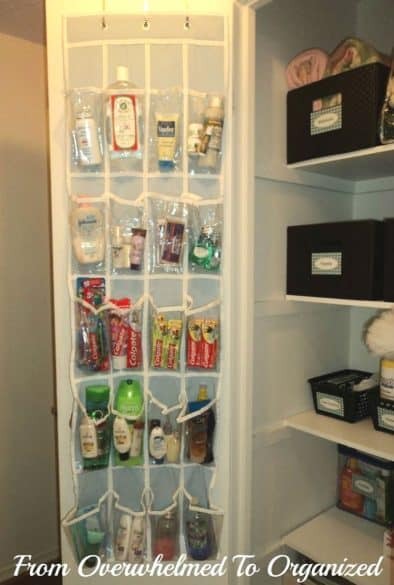 Try using an over-the-door shoe organizer with clean plastic pockets. 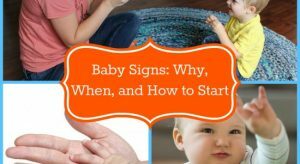 These not only helps you see what you need, but you can easily see what you are running out of and need to add to your shopping list. Have you ever checked out the basket and container section of your local dollar store? 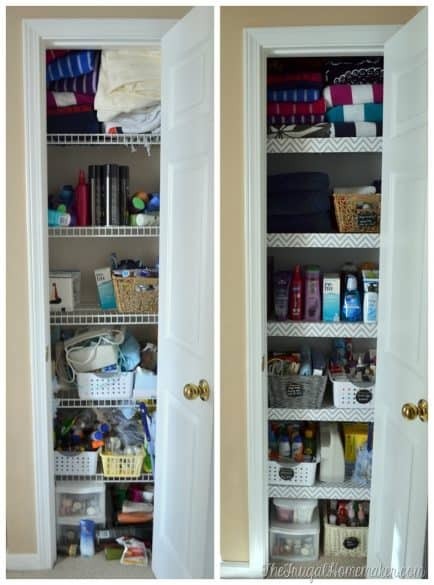 There are some real gems that are great for organizing. Consider grabbing a few next time you are there. 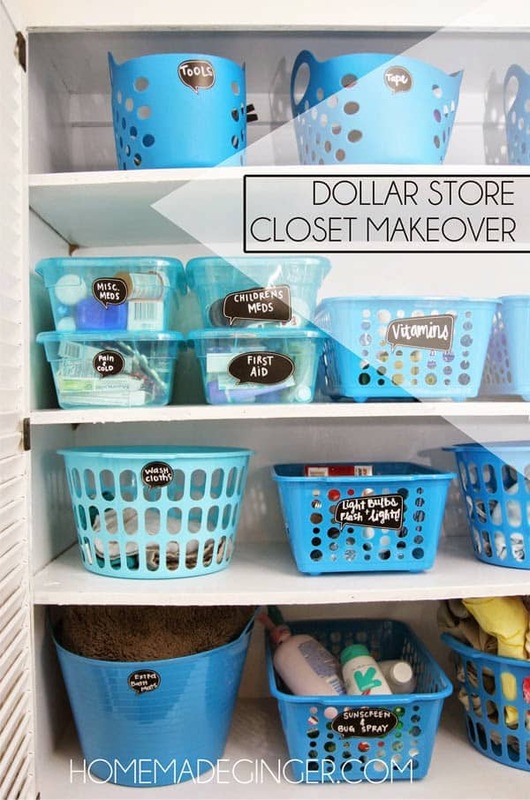 You can makeover your whole linen closet with dollar store baskets and containers! Do you have wire shelving in your linen closet? While that type of shelving is inexpensive and versatile, it can also be irritating for things to fall in between the wires and start a pattern of mess and disorder! But problem solved! You can cover your shelves with foam core board and contact paper. How’s that for genius!? Good organization is nothing without proper labeling. 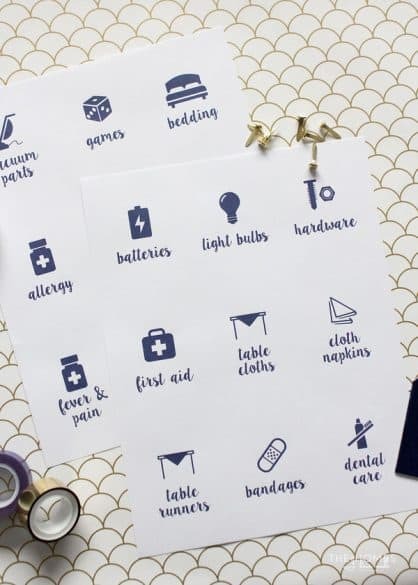 And here are some stylish and FREE printable labels for your newly-organized linen closet. Click HERE.